Having a vast and sprawling bathroom is undoubtedly appealing. A larger space will make it easier for you to carry out your ablutions in comfort and at the same time make it far easier for you to relax. Right? If a bathroom is too large, it can quickly feel cold and impersonal and, increasingly, people are seeing larger bathrooms as a waste of quality space. Therefore, while a smaller bathroom may not initially seem all that inviting, if you can create the illusion of space in a compact room, you may actually get the best of both worlds. Many of us will have looked at the strategic placement of mirrors to help trick the brain, but there are many other subtle changes one can make to ensure a small bathroom appears bigger. When it comes to creating the illusion of space in the home, nothing does it better than focussed lighting solutions, and a visit to a site such as http://www.thelightingsuperstore.co.uk/ may actually be a lot more beneficial in the long run than drawing up plans to knock your bathroom through to another room or building a very costly extension. Adding recessed lighting will be a great place to start as not only will a brighter space appear to be larger, but removing fixtures will quite literally create more space for you. Using brighter bulbs or even opting for daylight bulbs will help greatly, as will ensuring your new light sources brighten up darker and dingier parts of the room. To increase flexibility, you may want to include some accent and task lighting too. This will allow you to create a more subdued effect when you want to do nothing more than unwind in a warm bath at the end of a long day. 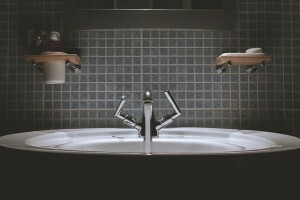 Keeping your bathroom light as well as bright is also important. Not only should you stick to one colour or tone wherever possible to ensure that all surfaces appear to flow into one another, but you should also opt for a colour scheme that is as light as possible. White is always best in the bathroom as it will help to reflect all that extra light around the space, so it may be wise to look at choosing everything from white tiles to a white bathtub. Finally, don’t forget to simply create more space. 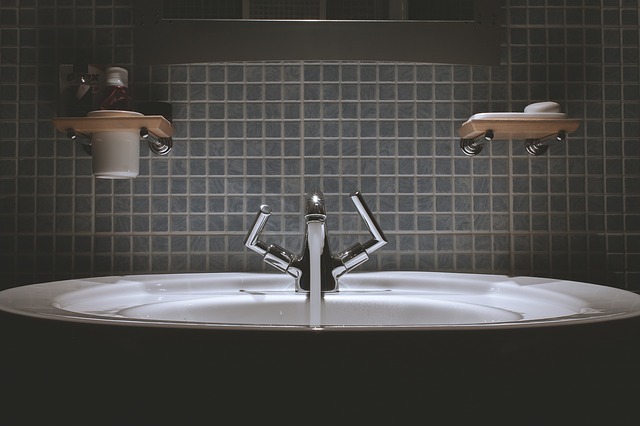 If something does not need to be in the bathroom, don’t be afraid to get rid of it, and where possible recess everything from your cabinets to your toilet cisterns.